Birth date is confirmed by the missionary register. 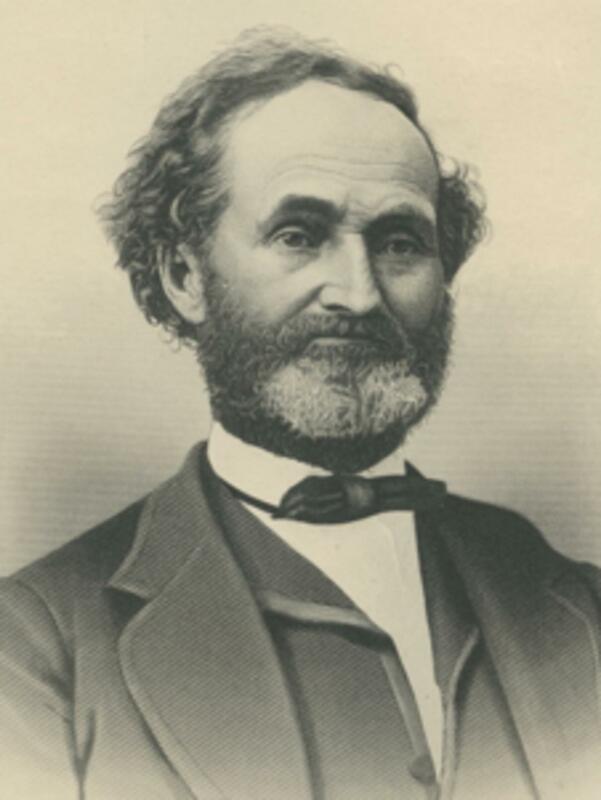 John initially traveled in 1847, when he was elected to be a Major in the company, as well as served as Captain of 50. He crossed the plains again in 1848, as captain of a 100 and again in 1852 as colonel of the company. "A Pioneer gone," Deseret Evening News , 6 Apr. 1885, 3. Bay, James Willard, Diaries, 1850-1853, vol. 2. Bay, James Willard. Journal, 1850 July-1858 Apr., 163-75. Bullock, Thomas, Journals 1843-1849, fd. 1-4. Burton, William, Diaries, 1839-1851, fd. 8. Fielding, Joseph, Journals 1837-1859, vol. 5, 134-41. George Benjamin Wallace Emigrating Company, Journal 1847 June-Sept.
Higbee, John Somers, Reminiscences and diaries, 1845-1866, vol. 3. Journal History of The Church of Jesus Christ of Latter-day Saints, Supplement after 31 December 1848, 12. Latter-day Saint Biographical Encyclopedia , 4:714. Laub, George, Diary 1852 [June] – Aug.; 1858 June, 199-266. Pack, John, Letters, 1847, fd. 3. Pack, John, Papers, 1833-1882, item 15. Pack, Ruth Mosher, [Reminiscences], in Orson F. Whitney, History of Utah, 4 vols. , 4:591. Pack, Ward E., Journals 1854-1876, fd. 1, 6. Perpetual Emigrating Fund, Financial Accounts 1849-1886, Ledger A, p. 107. Utah, Salt Lake County Death Records, 1908-1949.